Face tanners perfect for oily/combo skin from L'Oréal, James Read and Sephora! 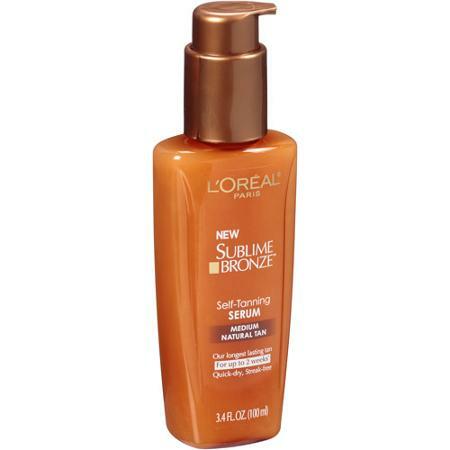 L'Oréal Sublime Bronze Self-Tanning Serum - 100ml - $17.99 - offers a 100% natural looking, streak-free tan that dries quick and lasts up to 2 weeks. It's actually meant to be a body tanner but the texture is perfect for the face so go ahead and be a rebel! James Read Gradual Tan Day Tan Face - 50ml - $42 - a conditioning, fast-acting, non-aerosol mousse that creates adjustable colour so you can pick the perfect shade for you: a light golden glow in an hour, a medium tan in two hours, and a deep bronze shade after three hours - that applies easily with a flawless finish every time. Sephora Gradual Self-Tanning Face Water - 125ml - $20 - with a lightweight, gentle formula that goes on smoothly and without streaking for a beautiful golden glow that intensifies with each daily application. Its light, non-sticky texture is easy to apply with cotton and dries instantly for a natural finish. Just continue to apply daily until the natural desired shade is reached.